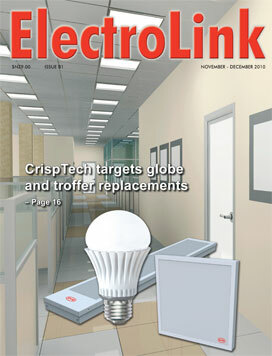 A new heavyweight electrical and electronics manufacturer is entering the New Zealand lighting market with a range of LED lamps and luminaires. Initially targeting the replacement of standard incandescents and tubular fluorescents, the new range also extends to other commercial, industrial and street lighting applications. Electricity can be both a killer or a lifesaver in a natural disaster and the experiences and lessons learned in the aftermath of the Christchurch earthquake provide a useful measure of the effectiveness and ability of the electrical industry to step up when buildings break down. 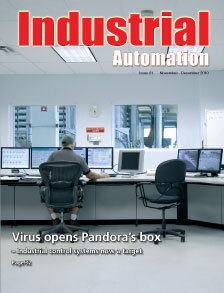 The Stuxnet computer virus will be remembered not for the damage it did to New Zealand industrial control systems – none reported so far – but because it marks the beginning of a new era in the design and execution of malicious software. 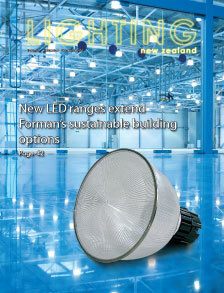 As New Zealand’s largest specialist marketer and distributor of ceilings and interior wall systems, Forman Building Systems’ portfolio extends into passive fire protection, thermal and acoustic insulation, and now lighting. Solving safety issues caused by poorly conceived ceiling insulation programmes on both sides of the Tasman continues to challenge the lighting industry. To overcome fire risks caused by blanket ceiling insulation covering downlights, a new compact fluorescent downlight product has been released that can be covered by blanket type insulation and operates at a safe temperature even when covered by insulation.